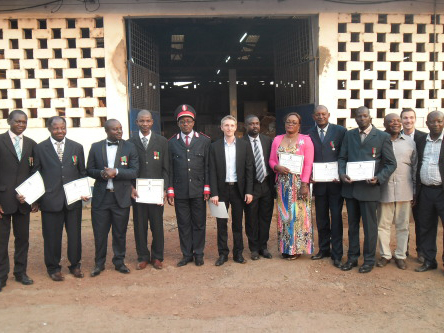 AGS’ branch in Yaounde took the opportunity at the end of 2015 to reward its long-serving employees, who have worked for the company for 10 to 25 years! AGS’ branch in Yaounde took the opportunity at the end of 2015 to reward its long-serving employees, who have worked for the company for 10 to 25 years! An honoured guest at AGS’ awards ceremony was the head of Cameroon’s Elig Edzoa district, in which the branch is based.